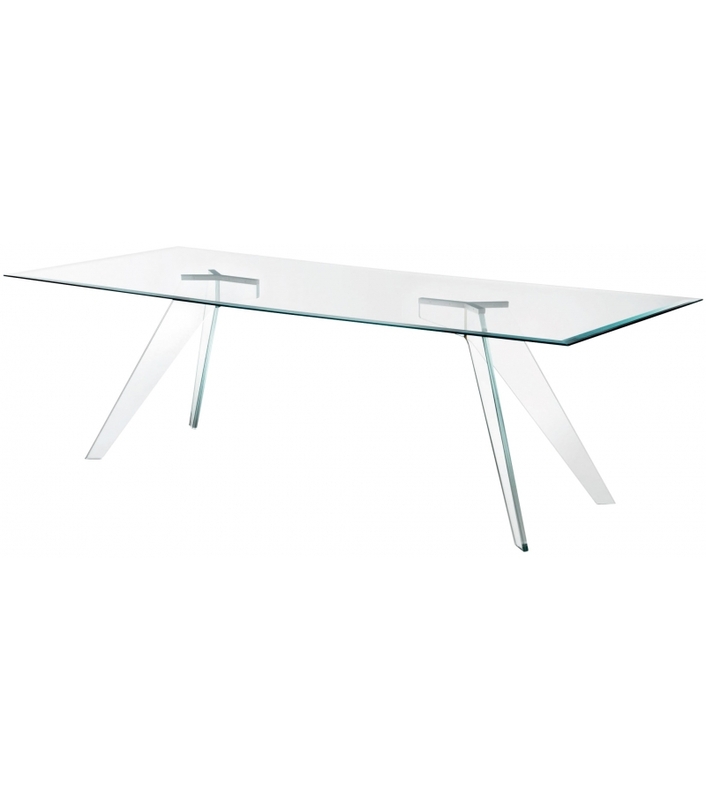 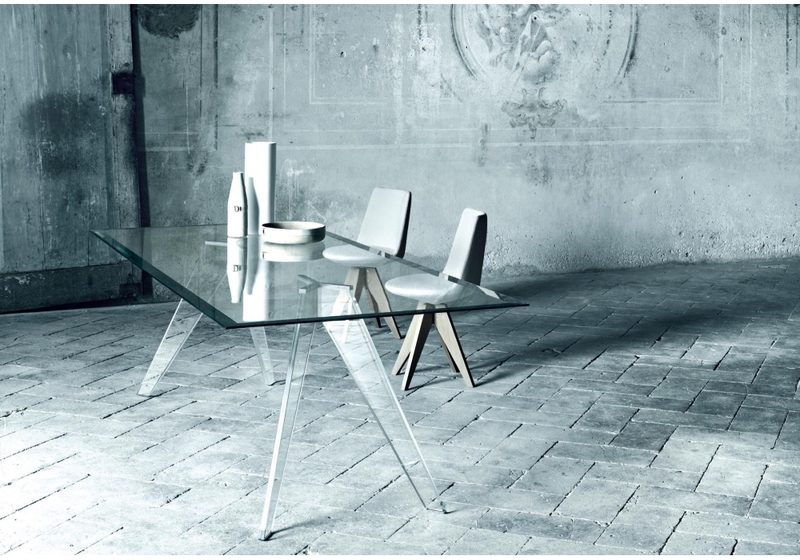 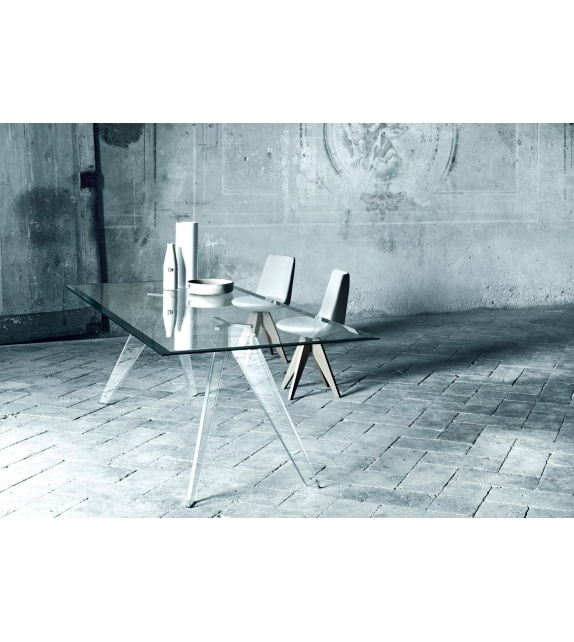 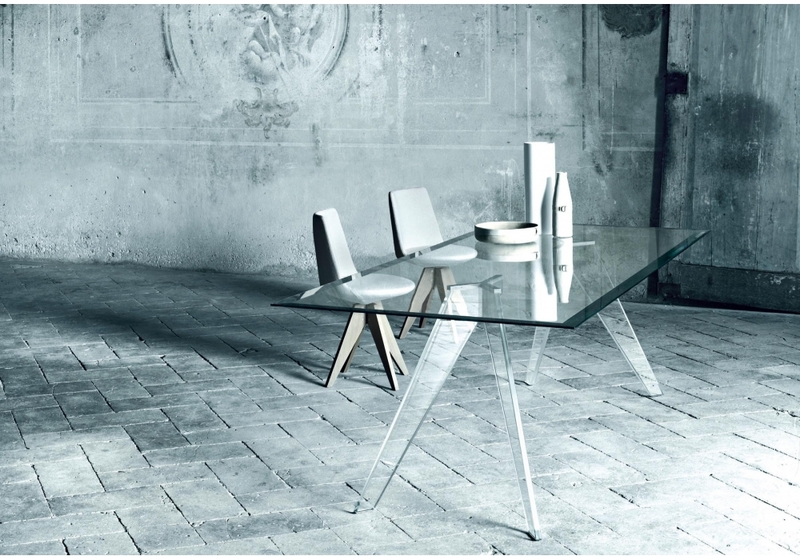 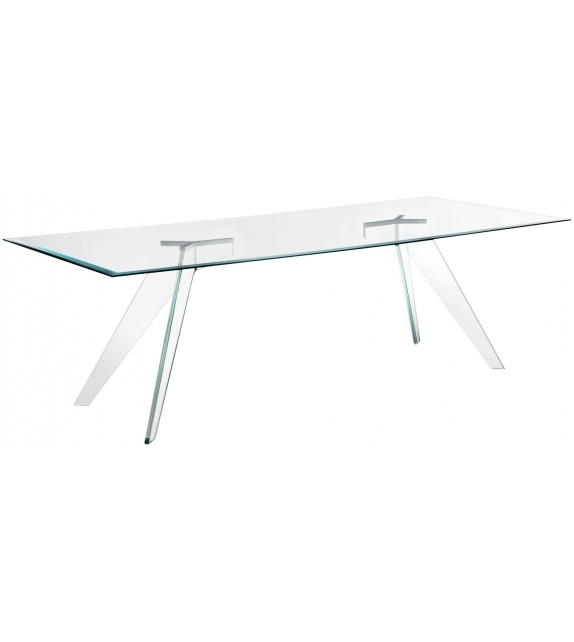 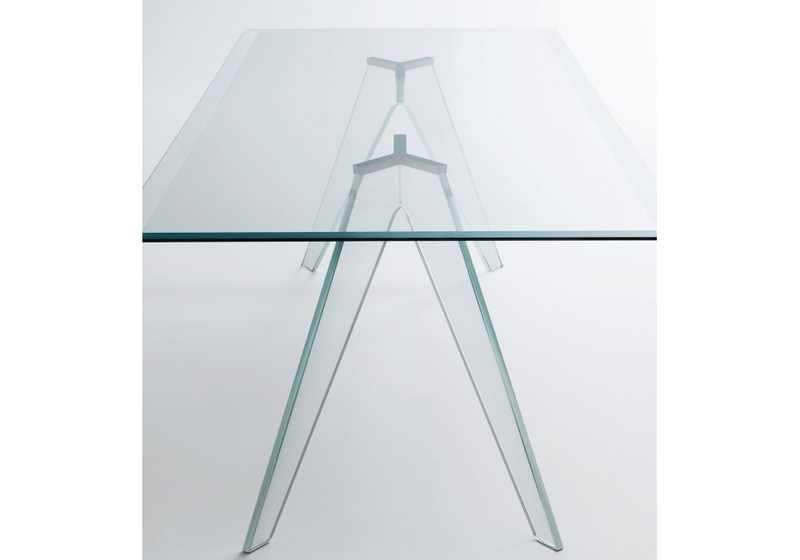 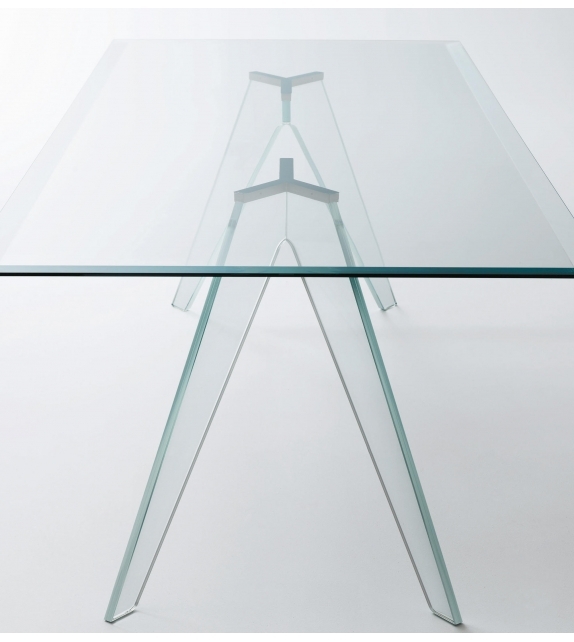 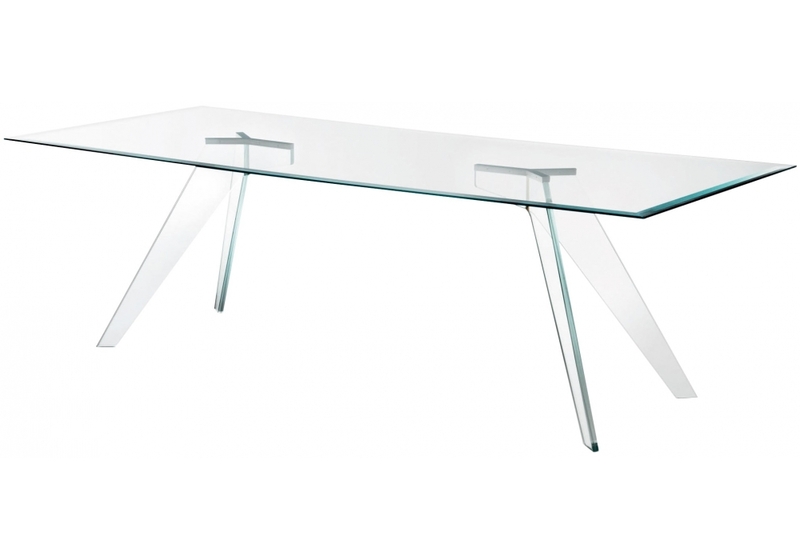 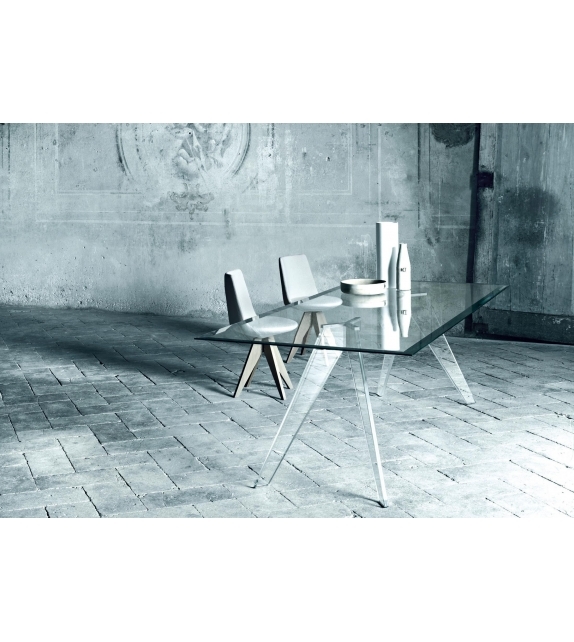 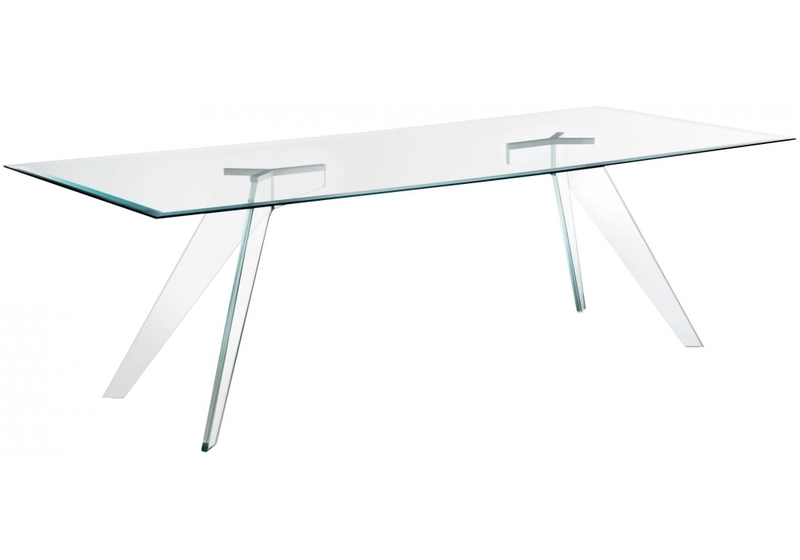 Glas Italia, Alister 01/02 table: Series of rectangular and rounded tables with top in transparent extralight mm. 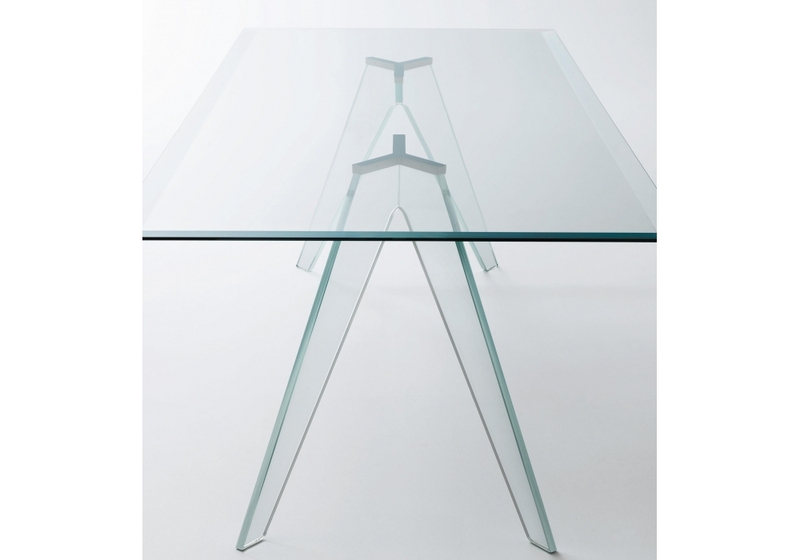 12 thick chamfered and tempered. 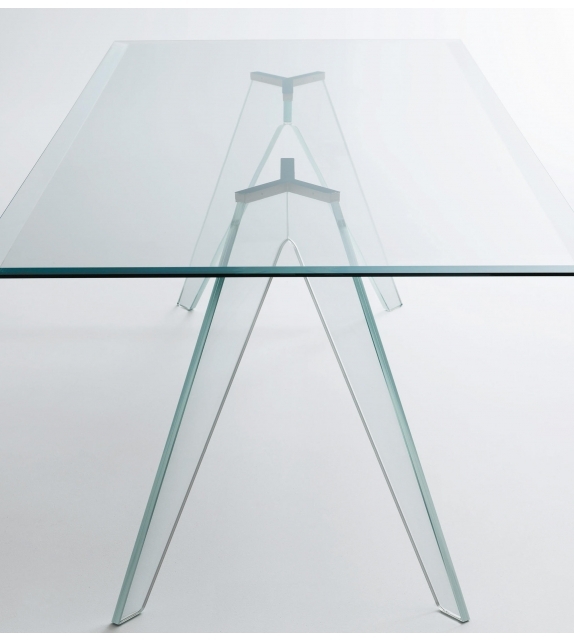 The bases in transparent extralight 10 + 10 mm, achieved by complex manufacturing processes of grinding, chamfering and gluing, can be dismantled and are fixed to the top through steel plates.